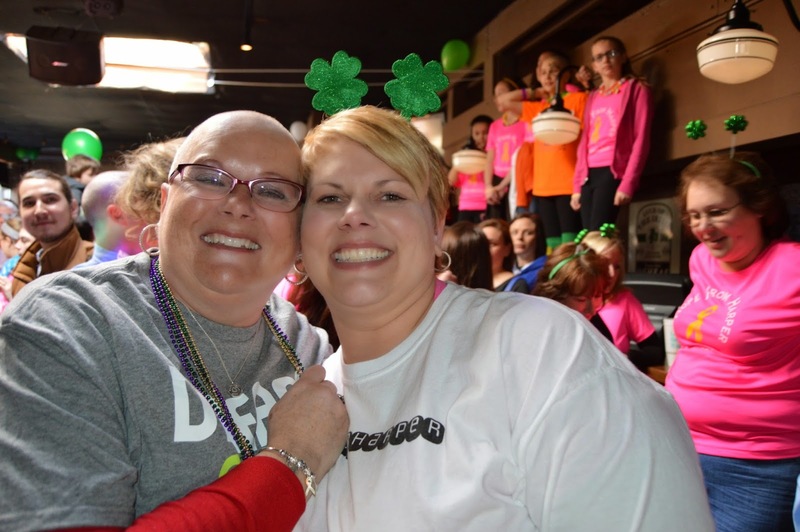 Not long after Harper passed away, we learned about an event planned for Louisville to benefit The St. Baldrick's Foundation. 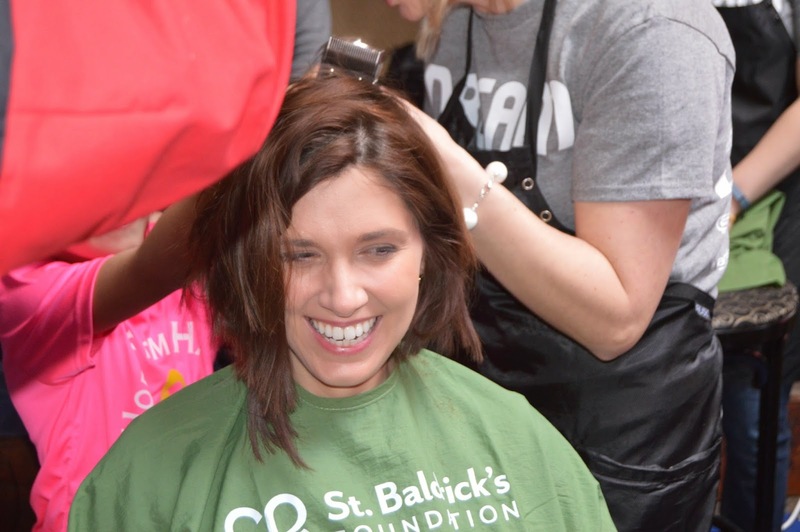 We were aware of St. Baldrick's and had even included the foundation as part of the "in leu of flowers" for Harper's Celebration of Life. 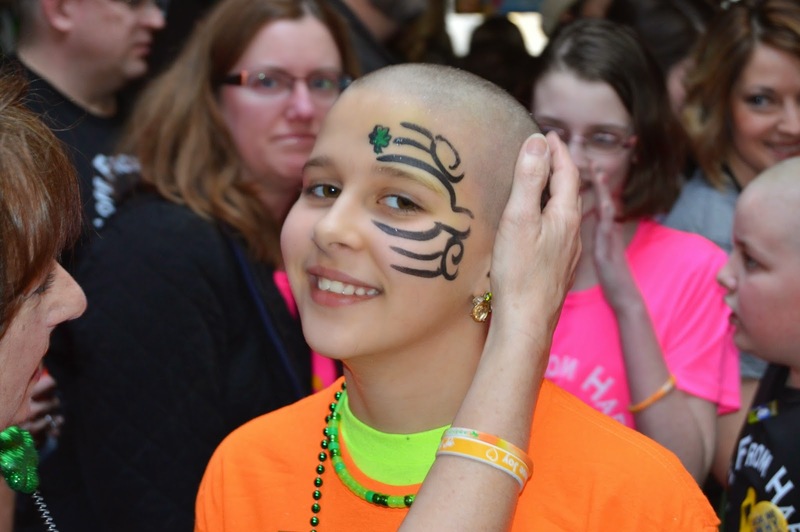 St. Baldrick's is the #2 funding source in the United States for childhood cancer research, second only to the National Institutes of Health (NIH). 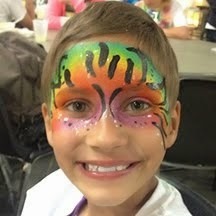 Only 4% of NIH research funds go to childhood cancer, while St. Baldrick's focuses solely on pediatric cancer research. 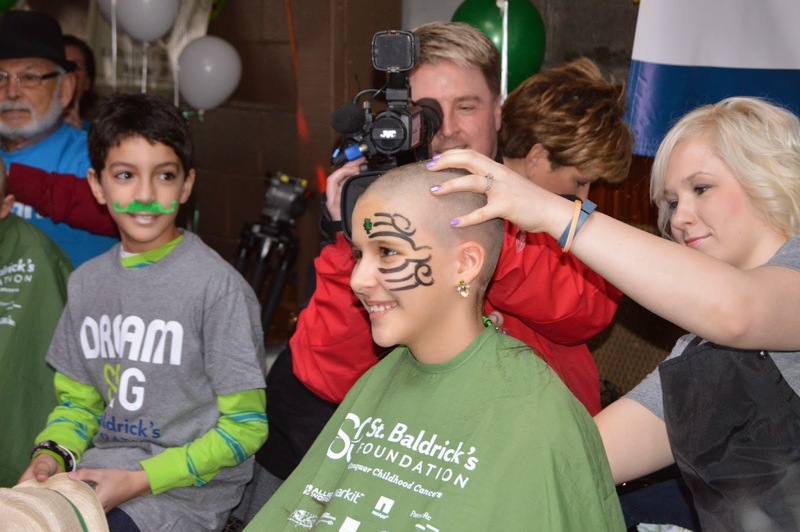 St. Baldrick's raised just over $39million in their FY2014 - $28.7million went to research grants and advocacy for childhood cancer research. You can read their 2014 Annual Report here. 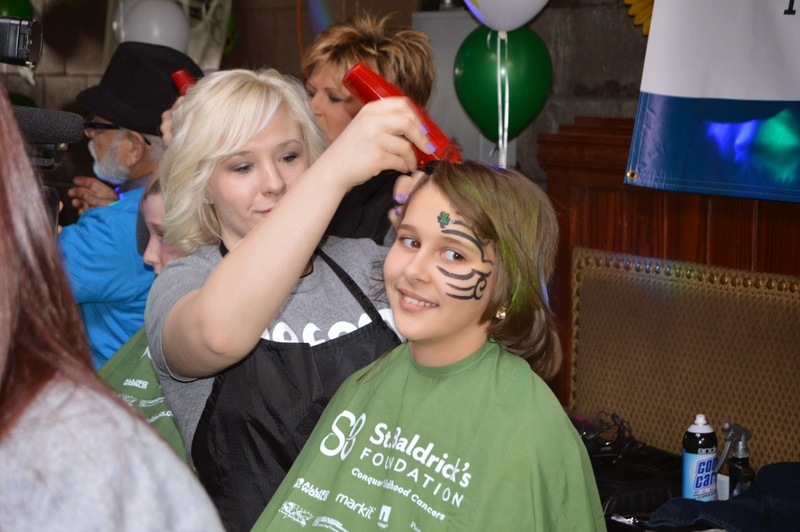 The most visible and successful way St. Baldrick's raises funds is through head-shaving events. 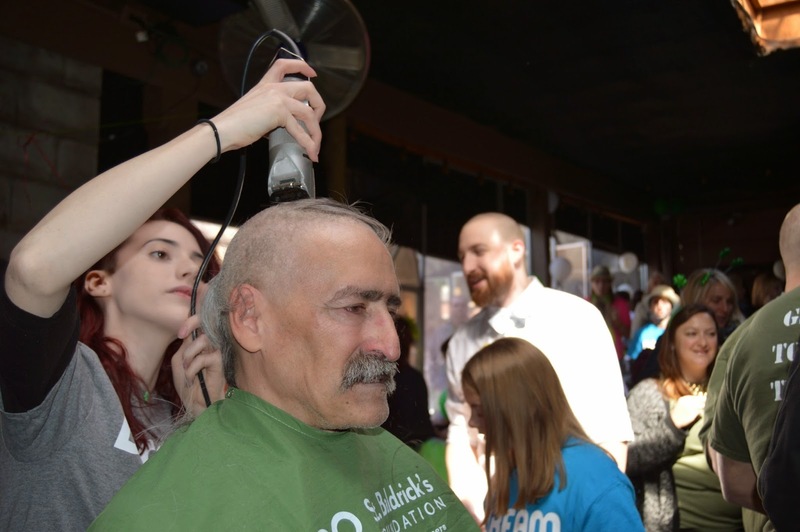 Individuals commit to have their head shaved and solicit donations from friends, family and businesses. It didn't take long for me to decide to join in. 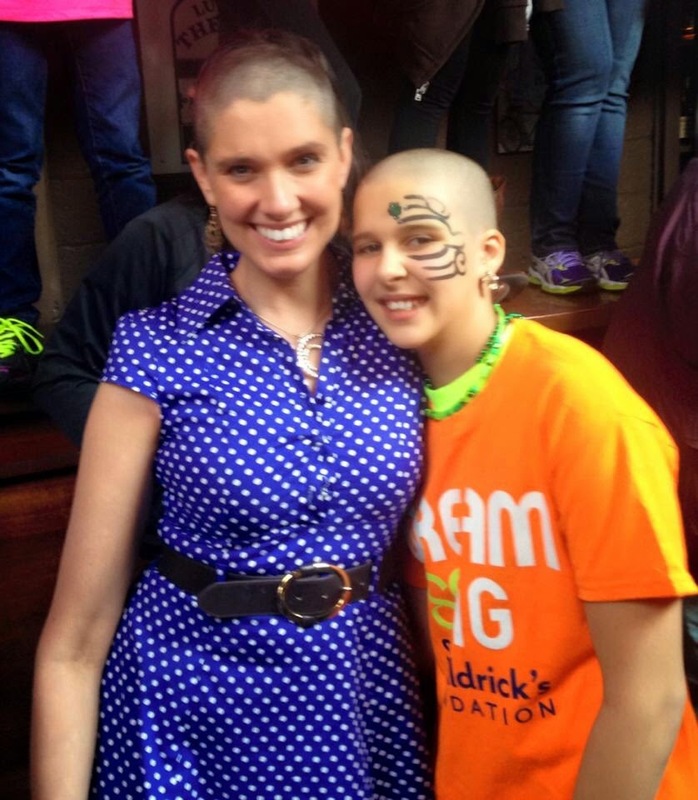 Several times during Harper's cancer journey I had offered to shave my head for her - but she had always declined. I am unsure of the reason for her hesitation, but I suppose she likely didn't want to see me changed by the cancer (in a way that was avoidable) in the same way her appearance was impacted. Of course, I respected her wishes and did not shave at that time. With her now sporting wings (pink I'm sure), I can only imagine that her view on things has changed. Her joyous spirit was always one to enjoy humor - and without the emotional baggage of cancer treatment weighing her down, I know she would have loved to see my bald head and have a good giggle at me. 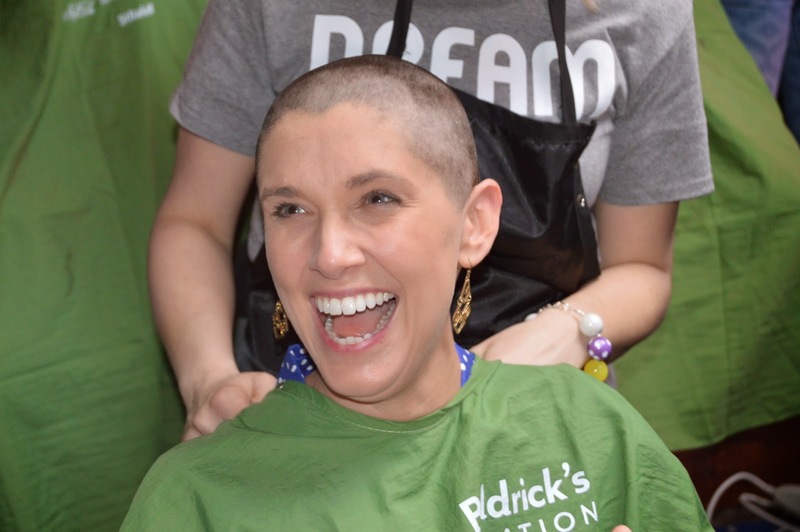 Makes me smile even now to think of her grinning, looking at me without hair atop my head. 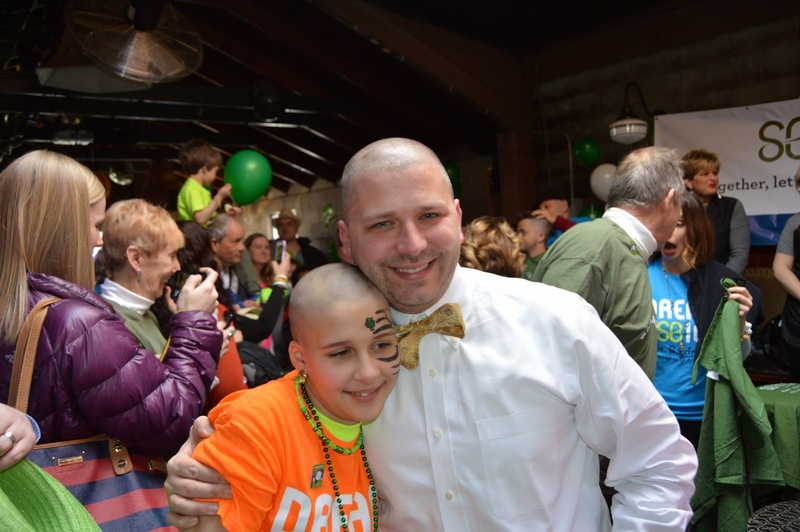 In late January I established a team, inviting friend and family to join in, shaving their heads and raising money for much needed childhood cancer research. I started with a $500 individual fundraising goal and a team goal of $1,000. I never expected what happened next. The team quickly gained supporters - shavees, volunteers and barbers. 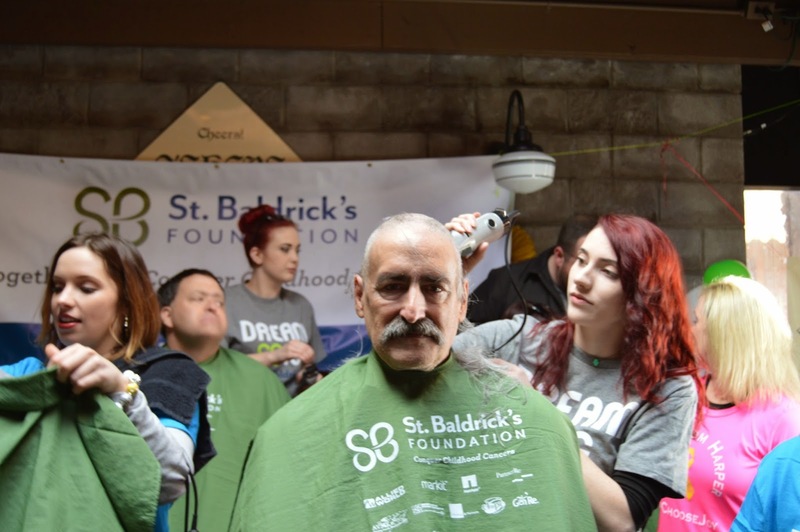 By the time we reached shave day, the team was 64 people strong! The team even included Harper's older sister, Cadence, who convinced us (mom) to let her shave after several weeks of persuasive argument. And the fundraising goal? I lost count on how many times we raised it. The last update was to raise the goal to $50,000 - and we blew it out of the water! March 7th was an incredible day. The event was a smashing success. In a space meant to host half as many people as showed up, we went on to surpass the event goal of $100,000. As of today (March 28th) that event total stands at almost $129,000 - and we are still waiting on some checks and cash to process and be posted to the event total! The reality of what happened made us realize that Hope From Harper is not just a slogan. Instead it represents a movement - a community of people whose lives have been forever changed by the strength and love shown by our brave little girl. What better way to remember Harper than to use her story and the joy she embodied to bring hope and joy and love to others who are facing a similar battle? We are not yet sure exactly what this will look like, but we have committed to not let the Hope From Harper movement slip quietly into history with just one event. Harper would never allow it! This blog site is the first step in a journey - a journey leading us somewhere - we don't quite know where yet. But we are determined to do good in this world - and we invite you to come along for the ride. My personal perspective on many things has been forever altered by Harper. I will, wherever possible, and even when it seems impossible, #choosejoy. Harper would - and if she could, so can I. 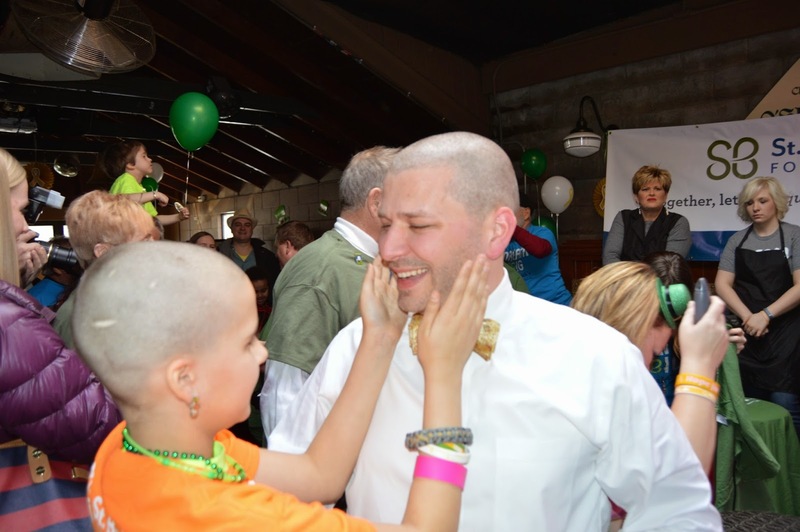 A year ago, I shaved my head for St. Baldricks, and I honored Harper that day. 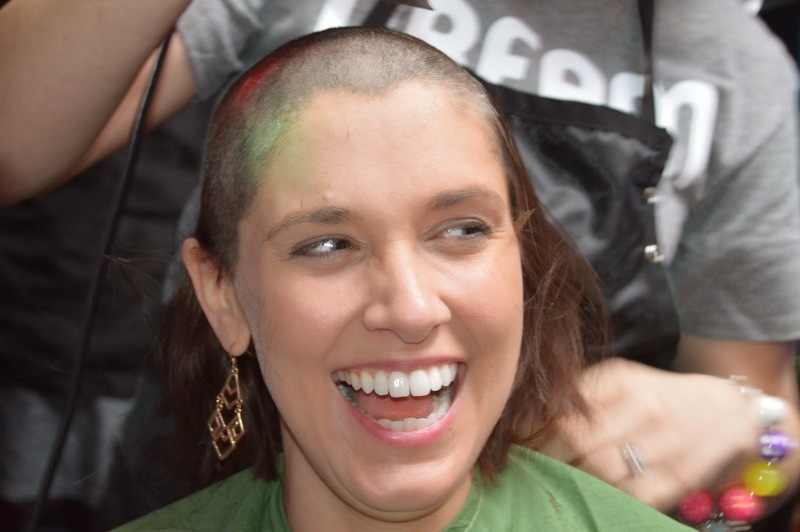 While I've had some health setbacks (myself and my family) I am planning to shave my head again this year--and will do so honoring Harper. It was one of the most amazing things for me--to find a purpose in life that really means so much for so many. And I wound up loving my bald head! While I never got to meet Harper, I grieved over her loss, and pray for your family--but I know she is now without pain and guiding us.